So you need some extra cash to get your business idea off the ground or pay off your overpriced credit card debt but not sure a bank will go for it? Welcome to the club! If you are looking for an alternative to taking out a traditional loan, then a peer-to-peer lending site could be a viable option. Lending Club and Prosper are widely considered the dominant peer-to-peer (P2P) lending sites, but what makes them the best of the pack? And how do they compare with other, lesser-known P2P sites? Here we give you a rundown of what P2P lending sites are all about and a comparison of several top services you’ll find on the web. But, first, we explain some of the basics so you can make a more informed decision. If you are already familiar with how peer-to-peer lending works, jump ahead to our reviews section. So, what’s the difference between peer-to-peer (P2P) and traditional lenders? The biggest difference is that P2P lending sites are directly backed by everyday investors rather than financial institutions. And P2P lenders often offer lower fixed APR rates than other lenders, but like mortgage lenders and credit card companies, the riskier you are as a borrower (i.e. the worse your credit rating), the higher your APR. Depending on your credit score and documentation, you can receive your loan in as little as one business day versus a longer wait with traditional loans. There are some fees associated with most P2P loans – typically these are an origination fee, late payment fee and failed payment fee. When initially created, P2P lenders in the United States weren’t federally regulated. But now, the borrowing and investing activities of P2P lenders are regulated by various federal and state entities. Each state’s regulations may differ so you need to check each P2P lending site to see if your state restricts you from borrowing and/or investing. With most peer-to-peer lending sites, you’re required to fill out an online loan application, but your application won’t negatively impact your credit score like it does when you apply for typical loans (it’s called a soft inquiry). As with traditional loans, your interest rate is based on your credit score, usage and history, as well as your loan amount and terms. Your loan request receives a grade, depending on your risk factor as a borrower — these grades are also used for investors to determine how risky they want their investment to be (see our grading system overview below). Generally loans range from $1,000 to $35,000, but this depends on the lending site, as does the grading process, interest rate, and terms. See our comparison chart for the details. What types of loans do peer to peer lending sites offer? According to a 2014 Federal Reserve report, debt consolidation loans account for more than half of all peer-to-peer loans, followed by credit card payoffs (17%) and home improvement (8%). Small business loans account for an estimated 3.5% of all funded loans. Want to refinance student loans, put in a swimming pool, buy a new car, or fund medical expenses? Depending on the P2P lending site, you have a lot of options. There are a lot of opportunities for everyday investors to invest their money into peer-to-peer lending (you can start investing for as little as $25). For one thing, the yields tend to be pretty high compared to similar investment options – often several percentage points higher than investing in a CD. And most peer-to-peer sites require at least a minimum 630 credit score for borrowers to be approved, so you’re not lending to the riskiest borrowers out there. One drawback for potential investors is that with most peer-to-peer lending sites, you must be an accredited investor, pursuant to the Securities Act of 1933. One of the biggest positives for some investors is the personal investment – as an investor you choose who you want to invest with based on a number of criteria, not the least of which is the borrower’s personal story. This process cuts out the anonymous, big financial institution and brings both lending and investing down to a one-on-one, investor-to-borrower relationship. What Are The Grading System And “Note” All About? With peer-to-peer lending, everyday individuals fund small portions of loans, called notes by most P2P lending sites, and receive their principal plus interest when the borrower repays the loan. An investor typically can choose to: 1) invest in a number of different notes; and 2) determine how much to invest in each note. The risk grading system is based on a credit score-based model for evaluating investment options. Each loan applicant’s credit rating is evaluated and translated into a letter grade, and investors can then choose how much risk they wish to take when funding a loan. What’s The Risk with Investing in Peer-to-Peer Lending Sites? Although the benefits of peer-to-peer lending can be lucrative for investors, you need to be a somewhat risk tolerant investor. Risk of loss is the biggest downside to investing in peer-to-peer lending. P2P loans are unsecured, meaning there are no assets backing each individual loan. So if a loan goes unpaid, investors are at a loss. And, of course, there’s always the risk of the P2P lending site discontinuing its services. Notes are not guaranteed or insured by any third-party or governmental agency. Diversification is key. The range of risky versus not-as-risky borrowers you have to choose from as an investor really depends on the lending site – some have a solid base of less risky borrowers; others not so much. Some lending sites offer good risk investment tools to help investors determine how to best meet their individual needs. As a general rule, it is best to invest in small portions of many different loans rather than putting all your eggs in one basket. Below are our picks for the top three lending sites with pros and cons for each. If you are looking for a loan, make sure you do your research and choose the site that is right for your unique needs. If you are an investor, hopefully these reviews will help you decide whether to invest in one of these peer lending sites or if you should look elsewhere. They charge investors collection fees which are deducted from any amount recovered. The amount charged either of the following: 1) 18% of the amount recovered if the loan is 16 or more days late and no litigation is involved, or 2) 30% of hourly attorneys' fees, plus costs, if litigation is involved. Lending Club does not charge a collection fee if no payments are collected, and no collection fee will be charged in excess of the amount recovered. 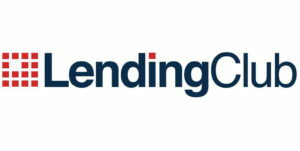 Lending Club launched in 2007 as one of the first peer-to-peer lending sites, and today is one of the two dominant P2P lending sites based in the U.S. They have both experience and a solid base of investors, so they’re definitely deserving of their prominence. They offer small business loans starting at $5,000 and personal loans to consolidate debt, pay off credit cards, finance home improvement and swimming pool installation. LendingClub earns our #1 Best Peer to Peer Lending Site award for its attractive APRs, excellent customer service, investment options and much more. They are clearly leading this industry. You can read our full review of Lending Club here. For investors: With Prosper's Quick Invest option, you can easily allocate your funds to a variety of borrowers, so even if one goes into default, the impact on your return is minimized. All loans are capped at $35,000 – which is average for personal loans, but may not be enough to cover the costs of starting a business. Prosper is our #2 pick for Best P2P Lending Site. It is one of the two P2P lending sites that currently dominates the market. Its parent company launched in 2005 and Prosper P2P lending site went online shortly thereafter. Over the past six years, Prosper peer-to-peer lending has granted more than $2.5 billion in personal loans. In mid-2014, Prosper raised $70 million in capital, led by Francisco Partners, a private equity firm, along with Institutional Ventures Partners (IVP) and Phenomen Ventures. You can read our full review of Prosper here. Upstart, our #3 choice for Best Peer to Peer Lending Site, is a younger peer-to-peer lending site geared largely toward college students and up-and-coming young professionals. “Ex-Googlers” founded Upstart in 2012 with the model of going beyond your credit score, with a focus on the potential of borrowers. Their statistical model considers schools you attended, your area of study, academic performance, and employment history to offer you the loan you’ve earned. Their loans are unsecured, but as an investor you can invest in loans by buying loan-related securities. These securities are issued by a trust and represent an ownership in the loan that the trust holds. We have two comparison tables for you to look over. The first is for borrowers and the second is for investors. Monthly Service Fee: The amount charged to the investor based on a percentage of the borrower’s monthly payment amount. These are typically collected anytime an investor receives a payment proceed. CircleBack launched in early 2012 by a founder of Loanio. Loanio was one of the original three P2P lending services which folded in the 2008 financial crisis. It took until 2014 for CircleBack to get firmly planted with the help of Jeffries (a premier global investment bank), which securitized a $500 million batch of consumer loans. CircleBack has a long way to go to compete with the big players, but their founder is committed to the ideal of peer-to-peer lending. Time will tell if they have the staying power of their competitors. The personal loan types are much more varied than competitors. Other than the typical types, they offer loans for: medical expenses, auto/car, motorcycle or boat purchases, wedding, engagement ring, vacation, relocation and military loans. Launched in late 2013, Daric is one of the newcomers to online peer-to-peer lending. Although it hasn’t reached the big leagues yet, Daric founders have tried to differentiate their platform by being user-friendly and easy to apply – you only need to fill out their online application and add your bank account to your profile. Only in rare cases, they say, do you need to upload other documentation. Daric is a true peer-to-peer lending site that has pretty standard rates and investor options. The one thing that sets Daric apart is the ability to take out a second loan once you’ve made on-time payments for 6 months. With sites in the U.S., the U.K., Germany and the Netherlands, Funding Circle is positioning itself to be a global leader in peer-to-peer lending. They focus exclusively on small business loans. US Funding Circle’s founding owners (small businessmen themselves) launched the brand in 2013 to fill a void within the traditional bank lending system. Their goal was to help other small business owners secure funding that they otherwise wouldn’t be able to get. To date, Funding Circle has lent more than $8 billion globally to 62,000 businesses. To qualify, small businesses must have been in operation for more than 24 months. Peerform, launched by Wall Street executives, has been around since 2010 – a healthy life-span for a peer-to-peer lending site. Although they’re not as well-known as Lending Club or Prosper, they bring a healthy alternative to P2P lending. For one thing, their minimum credit score is lower than all other sites we’ve seen, and you don’t have to be currently employed to qualify if you can provide other sources of income. The downside, perhaps, is for eager investors – their minimum to invest is $100,000, clearly leaving out a huge portion of everyday people in their process. Social Finance, Inc. (commonly known as SoFi) began as a peer-to-peer lending site focusing solely on student loan refinancing, but in early 2015 they expanded their product line into personal loans. Their target borrower is an early career professional, who has the additional options of MBA loans and mortgage loans. APR rates and terms differ for each type of loan. What we like is their nontraditional underwriting approach, which takes into account merit and employment history, among other factors, to provide financing for those who may not be able to qualify elsewhere. In 2014 SoFi acquired $200 million in Series D funding led by Third Point Ventures and affiliates, but they continue to follow the peer-to-peer lending model with everyday investors. Although Lending Club and Prosper have their drawbacks they still clearly dominate the peer-to-peer lending site market. But it’s a service that’s been in pretty constant flux over the last few years. The unfortunate reality for true peer-to-peer diehards is that most of these services don’t seem to be able (or willing) to survive and thrive without some kind of institutional funding from investment groups, rather than large banks. Peer-to-peer lending is still morphing, so we’ll keep an eye on where the industry goes from here. Have you used one of our profiled peer-to-peer lending sites? If so, tell us your experiences. Do you already have a peer-to-peer lending site in mind and don’t see it listed here? Let us know and we’ll make sure to add it to our review.